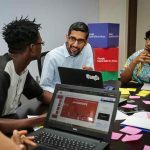 When Google CEO Sundar Pichai visited Lagos, Nigeria (the largest economy in Africa) for the first time in 2017, he announced the company’s plans to train 10 million Africans in digital skills over the next 5 years. 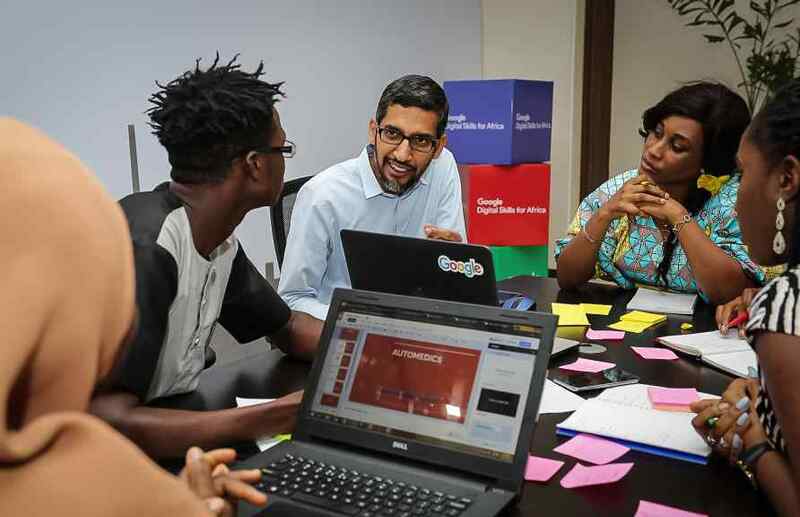 He also announced Google’s Launchpad accelerator for African startups. Google is making good on its promise. The company also promised to increase its funding to African startups and provide $20 million in grants to digital non-profits in Africa. Among the startups selected are ThriveAgric, an agribusiness startup which allows middle-class Nigerians invest in agriculture, Pezesha, a Kenyan peer to peer micro-lending marketplace and Okadabooks, a Nigerian e-book app that allows authors publish books to an audience of over 100,000 active users. In total, six of the selected startups are Nigerian, two are Kenyan with one each from Uganda, Tanzania, Ghana and South Africa. 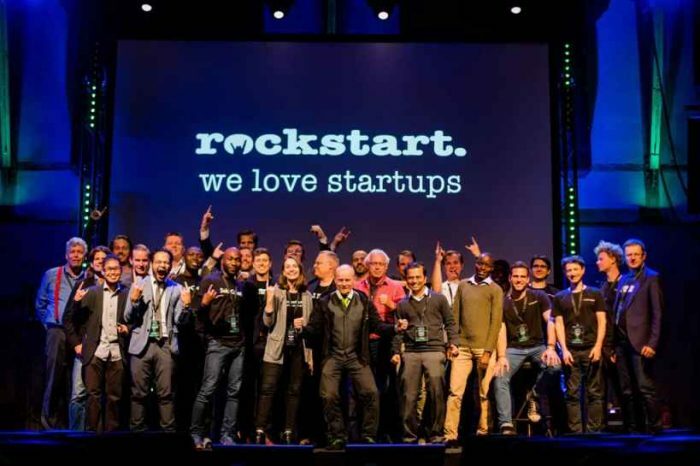 Below is a complete list of the 12 selected startups. About: Babymigo is a trusted community for expecting mothers & Young parents. Babymigo’s app makes it easy for pregnant mothers and young parents to ask, chat and discover local community of verified experts and experienced mothers. From conception to parenting, Babymigo app figured it all out for you, from start to finish. Whatever your interests are – whether it’s finding parenting guides, baby care, pregnancy tracker, maternity, mother care, due date baby tracker, baby food and recipes, breastfeeding, vaccination reminders, finding the right child care services you really care about —you’ll find it all on Babymigo anytime, anywhere. They know it takes a village to raise a child. That’s why new mothers seek out help from experienced mothers and doctors. It’s fast, convenient and reliable. About: FlexPay offers a secure, reliable Financing Management platform of Flexible, instalments/ payment options that make it easier for your customers to pay for your products and services-may it be retail shopping, school fees, tour and travel, crowd funding etc. They are constantly updating and improving their systems to deliver to you the great value. The unbanked and underbanked people in developing economies do not have the financial muscle to pay for most goods or services on a one-off. 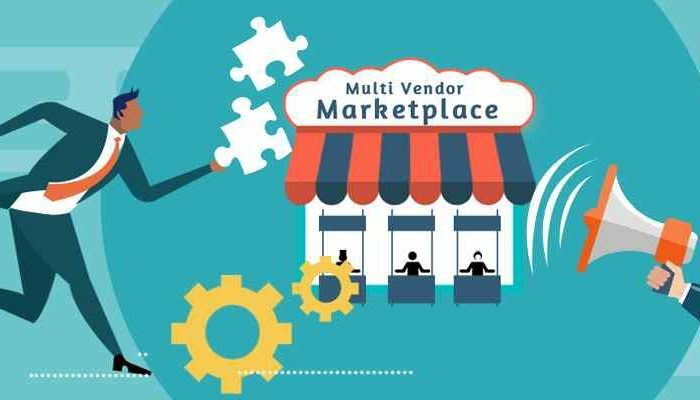 They have developed a unique and innovative platform, which manages flexible payments for merchants and their customers for purchase of goods and services through mobile money. Currently they are targeting over 25 million low and middle income Kenyans who are subscribed to mobile money transfer platforms. About: Kudi is a financial service provider that focuses on providing access to electronic banking and financial services. KUDI is a financial service provider focused on providing access to electronic banking and financial services by leveraging conversational interfaces, natural language processing and artificial intelligence to provider faster access, frictionless experience, and ultimately boost financial inclusion in emerging markets. KUDI is enabling secured financial transactions via Facebook, Telegram, Slack and Skype. KUDI’s focus is the African market with a primary focus on the Nigerian Payment ecosystem and the company does this in partnership with e-payment regulators, a leading commercial bank, and an international payment processor. About: OkadaBooks is a fast, simple and fun way to read books without ever leaving your couch! It’s different – Putting books in your pocket, without breaking your wallet. 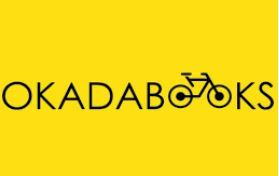 The name Okadabooks was thought of when the founder was riding an okada in his dreams. He noticed how Okadas were able to bypass the congested roads of Nigeria by offering a cheaper, faster and more flexible alternative to conventional means of transportation. Today the conventional way of reading and publishing books is currently experiencing a traffic jam from poor distribution to high printing costs. Okadabooks seeks to bypass the traffic in the Nigerian book publishing industry by making it easy to publish books, making it cheap to buy books but more importantly making it fun to read books on mobile devices! At the end of the day theyare driven by the concept that people will read…if books are made cheap and easily accessible and what better way to do that than by using mobile phones! About: OMG Digital is the media company for African millennials. It is one of the fastest growing digital media companies on the continent, with 90 million monthly views and the most engaged audiences anywhere in Africa. OMG Digital was started as a way to publish content that African millennials like us would love to consume. They were highly frustrated by the lack of genuine, relatable and exciting local content available. There is a huge demand for online content throughout Africa due to the rapid growth in mobile and internet penetration. The millennial audience has been aching for fresh original content pertinent to their local African tastes, interests and culture but this demand is still far from being met by the slow moving traditional media. Their goal is to develop and grow dedicated, loyal and fanatical audiences through their engaging brands. Founded in early 2016, they’re on track to be a defining company in the future of African digital media. About: Pezesha is a micro-lending Marketplace that uses credit and data analytics to connect lenders with high quality under served low income borrowers. Pezesha is led by a highly experienced and passionate local team with more than 10 years local and international experience in fin-tech, management of growth and technology companies, and unparalleled local market knowledge and reach. Pezesha’s mission is to give choice, inclusion and affordable digital financial services to low-income borrowers in Africa to bring freedom, equality and hope to them and their communities to be part of the formal financial system. About: Piggybank.ng is an online savings platform that securely makes saving possible by combining discipline plus flexibility to make their grow their savings and reach their savings target. Their goal is to ensure millennials have money for really important things. With millions of people all over Africa facing savings’ problem,people need to save for different reasons (debts, tuition, financial security, etc.) and it has become more important than ever for young adults to be able to manage their finances. Piggybank.ng provides a simple service to millennials curb their spending habits while improving their savings culture by automating deposits periodically – daily, weekly or monthly – towards a specific savings target. Piggybank.ng’s core team brings together top class talent from the worlds of finance, tech and beyond, representing a strong combination of proven skills and passion to ensure that millennials better manage their finances. About: Riby is a finance technology company. They provide a simple and smart finance management platform that offers various products that are targeted to individual needs. Riby aims to transform the way over 20 million West Africans use co-operatives. 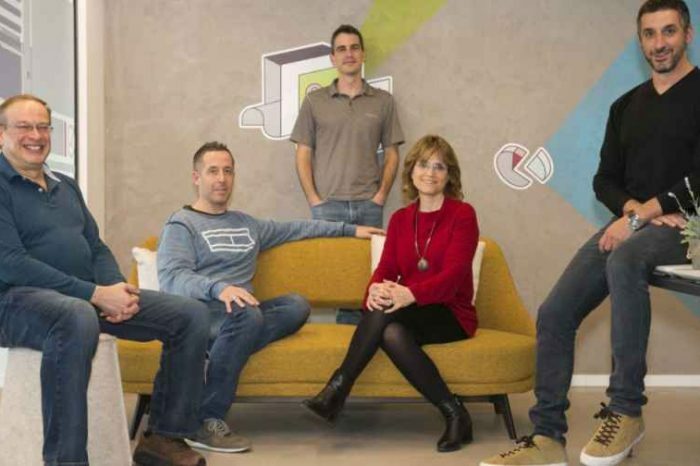 Their solution provides cooperatives, company groups, employees, individuals, associations, and financial development institutions with features to manage their financial activities. Riby finance platform offers features that are tailored to suit customer’s needs at any given period. Plan, save and invest regardless of their earning power. About: swiftVEE (swift Livestock) is South Africa’s first livestock and agricultural trading platform. The only place in South Africa where like minded farmers can connect online. swiftVEE is addressing water scarcity, food security and market efficiency for the livestock sector. It brings the agri-sector into industry 4.0. by offering substantial profit margins that facilitate sustainability and social impact. swiftVEE has been recognized internationally for technology innovation and shortlisted as one of South Africa’s top 100 most innovative companies (TT100). Its solution provides intuitive data and analytics with capacity to scale globally. The agricultural technology for industry 4.0 has arrived. The startup will have access to more than $3 million in equity-free support and industry experts over the next three years, According to Tech Financials. About: Tango TV (T) is a Tanzanian technology company focusing on integrated media streaming services, beginning with African Movies, music videos and TV shows they aspire to become the leading provider of on-demand Internet streaming media. They enable media distribution through various internet connected devices and including Mobile Devices, Tablets, Laptops and regular Television Sets. Tango TV is the leading video on demand service for African Swahili content, Focusing on Local language Films and Shows they look to build the leading video on demand service for Africans at home and in the diaspora. About: Teheca’s mission is to create an alternative source of timely health care workforce by helping families find the right care providers for their loved ones. 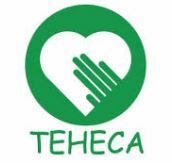 Teheca is the one care service provider that provides qualified, compassionate & caring care assistants who will help loved ones with daily living activities, ensure doctors orders are effected & offer companionship unlike the typical house help or relative. The company’s origin dates back to 2015 when its mentor a leading village health care team member passed down the vision for an alternative health care workforce source in Uganda. its main goal of providing patient centered care and improve the quality of life in Uganda, East Africa and the bigger continent of Africa through caring. About: ThriveAgric is using a crowdfunding platform to provide farmers with the finance they need to grow their businesses and offer ordinary people the chance to invest in agriculture.They are backed by the team at Ventures platform and a product of Ycombinator’s startup school with a mission to ensure food security. 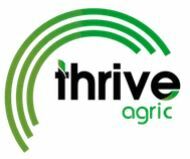 Founded 2016, Thrive Agric is designed to crowdfund investments for smallholder farmers and provide it to them in the form of inputs, tech-driven advisory and access to markets. Farms are listed on the platform, complete with details of what it takes to fund a unit, such as an acre of rice or 100 chicks, the length of time until return, and the returns themselves.